I wanted to highlight some photos of a beautiful space I had the privilege of photographing, recently. The DIstrict Attorney's office in downtown Chattanooga recently moved and was redesigned by one of my favorite clients, River Street Architecture. 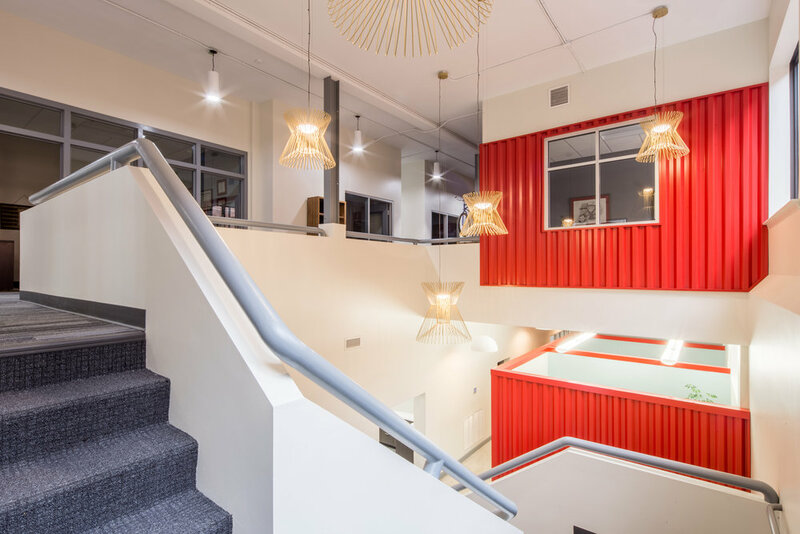 A full scale architectural firm, River Street has a range of talents, focusing on urban design, broad master planning and construction consulting. Their broad array of expertise includes architectural designs in hospitality, retail, institutions and the medical industry. What I admire most is their passion for building sustainable structures, while maintaining a modern, timeless feel. The DA office is a perfect example, as you will see.